Since 2008, Bravos Exports, India is recognized as a trustworthy organization that is engaged in trading, supplying, wholesaling and exporting a vast array of Natural Stones. 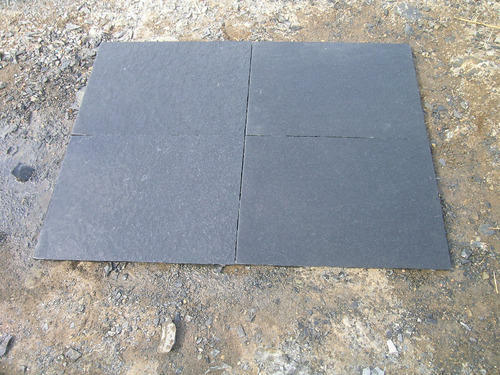 Our range of products encompasses Granite, Kadappa Limestone, Black Limestone, Yellow Limestone, Cuddapah Black Stones, Pebble Stone, Granite Cobbles Stones, Limestone Cobble Stones, Paving Stones, Crushed Stone Aggregates, Natural Stone Chips, Mosaic Chips, Shahbad Yellow Limestone, kota stones, pavers, stepstones, Ancient stones, Monument stones, Headstone, Tombstone, Base stone and Marble Chips. Also, we offer Tumbled Stones, White Marble Chips, Pebbles, Stones, Quarries Stones, Stepping Stones, Cladding Stone, Granite Decorative Stones and Wall Tiles. The range made available by us is sourced from most trusted and reliable vendors and manufacturers of market with the aid of our procuring agents. Our product-line is widely acknowledged in market for its low water absorption, durability, high compressive strength, hardness, glossy finish and fine textures. Moreover, to cater to the diverse requirements of customers, we offer these products in variegated specifications at nominal prices with best Quality. We have constructed a capacious warehousing unit at our premises for safe storage of the offered range. Proper segmentation of this unit has been done so that the procured range is stored under their respective categories in a systematic manner. Besides, being a patron-based firm, we maintain cordial relations with them to understand their exact requirements. The offered products are packed using finest quality material in order to ensure their safe transit. Owing to these reasons, we have build a vast customer-base across the globe. We welcome queries for Granites, Monumental stones, Natural Limestones & other natural Stones from Overseas Countries like United Kingdom, United States, Australia, Denmark, France, Netherlands, New Zealand, Norway and other European and Middle east countries.